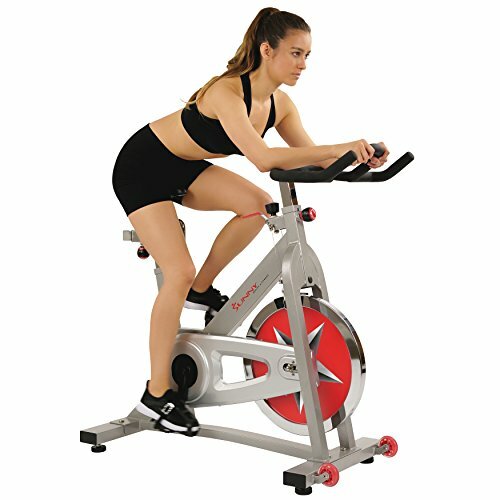 POSTS Spin Bike vs. Exercise Bike: Which One Is For You? We all know that riding bike is an excellent form of exercise. Yeah, we did it because it was something fun to do with our friends as kids. But in the process, it kept us from becoming the ‘husky’ kid in class. However, while we can’t be the husky kid in class, we can still be the office ‘big’ guy. That is, unless we find a way to keep the pounds off as adults—you know, like by riding an exercise bike. But the question we all need to answer is which kind of exercise bike do we want? Do we want a spin bike, a traditional upright stationary bike, or a recumbent bike? While there are good things about every type of exercise bike, for me, the answer is easy. I wouldn’t even consider using a traditional upright stationary bike or a spin bike. For a larger than average size person like myself, they are just way too uncomfortable. If I’m buying a bike, there is no question of whether I’m getting a spin bike or an exercise bike. I’m getting a recumbent (exercise) bike. I’m kind of partial to the Star Trac models. They are much more comfortable to use, and you can burn some calories while using it. You may not burn them as fast as you would on another bike. 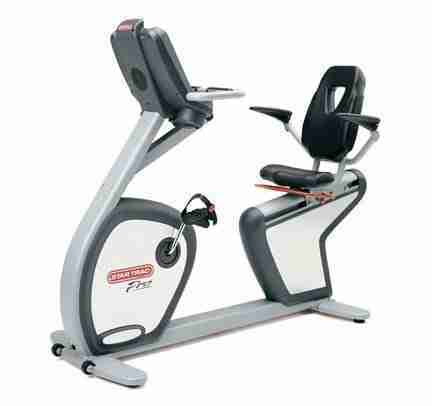 But at least you will not dread working out because of how uncomfortable the tiny seat on a spin or upright bike is. But that’s just my opinion. For those who need a reason other than comfort, let’s dive a little deeper into our options. 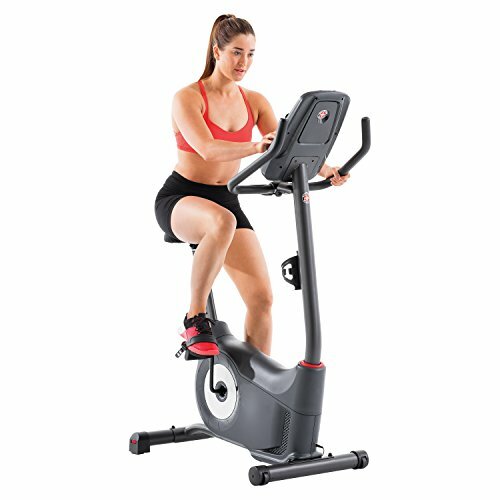 There are essentially three different bikes to consider, a spin bike, a traditional upright bike, and a recumbent bike. For exercise purposes, they can all get the job done. But as anyone who has ever started and quite an exercise routine knows, liking what you are doing or at least not hating what you are doing can be the difference maker. If you hate what you are doing, it is going to be super easy to quit. But if you like your exercise of choice, then your chances of success are that much higher. Liking it would make it easier, but simply not hating it can be enough to keep you going. So, when it comes to cycling, choosing the right type bike for you is critical. Since we are looking more towards a type of bike rather than a specific brand or model, I’m not going to include customer reviews this time. Including them would not be of any use when deciding between the types of bikes. This time, the review is not about a model used for exercise, but the style of bike used to get exercise. 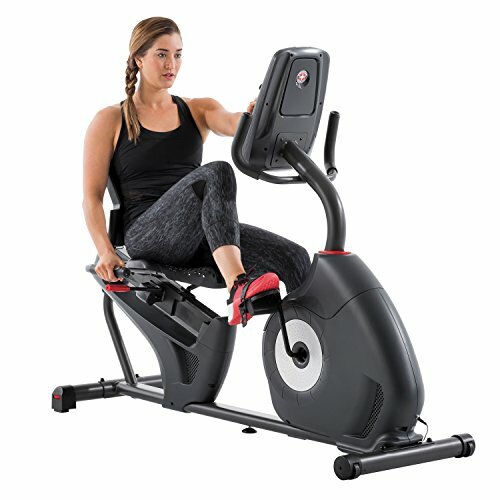 If you are thinking you want to try an exercise bike because you really enjoyed riding your bike as a kid, then the spin bike is the way to go (Star Trac makes some good ones). With the weighted flywheel and direct-contact brake system, it is going to ride more like any bike you had growing up than the other options. However, if you try to add the streamers and a bell like you had on your first bike, people might look at you funny. When you are more familiar with something, it can be easier to get started and stay on track. Since it is more like your old bike than the other options, a spin bike might be the surest path to success. 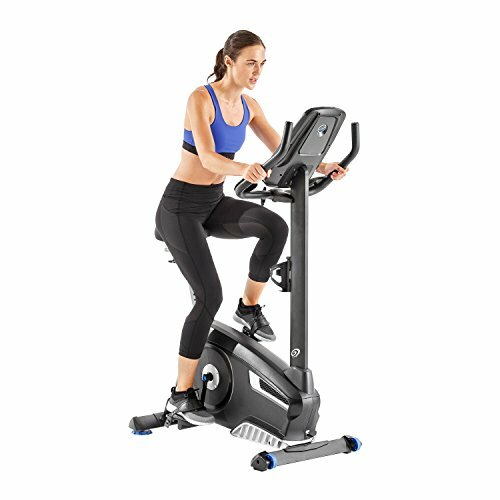 If you are looking for the best possible workout, the spin bike is the one for you. It’s not that you can’t get a great workout on the others. But these are built with intense fat-burning and calorie burning in mind. The ability to stand up and pedal harder certainly helps. But the most significant benefit in this regard is the prevalence of spin classes among gyms these days. 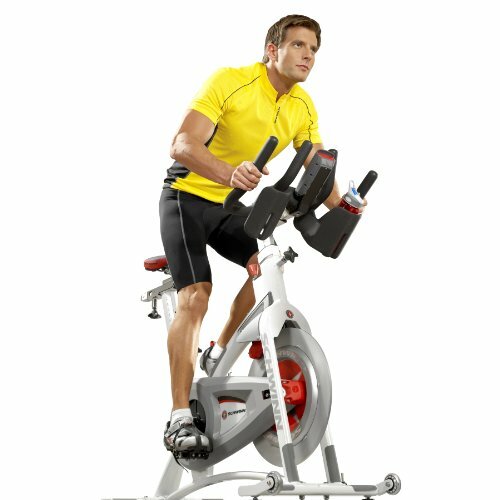 With the right instructor, you can get a tremendous workout on a spin bike. This, of course, doesn’t help you out if you are buying one of these for use at home. But I believe there are services online where you can view an instructor’s course. It’s not the same as being there, but it gets the job done. 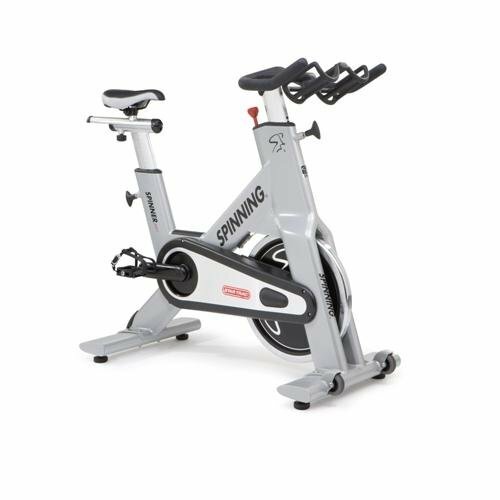 However, the fast pace that is inherent with spin bikes can make it hard for novice riders to get started. Have you ever seen the size of the seats on one of these? Who’s behind actually fits on one? People that take the classes will probably say that you aren’t sitting very much if you are putting the work in like you should. But that’s just not realistic. It may be true for the fit, spin bike-warriors types. But if you are getting started and trying to lose weight, it just doesn’t work. All the leaning over can be very hard for people with back issues. 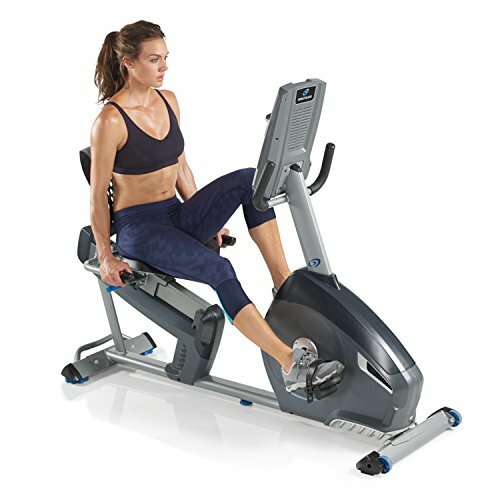 Spin bikes can also be hard on people having problems with joint discomfort. If you are a novice rider, then you may not be the most motivated to hop on a spin bike and go nuts. Chances are you are going to need a little direction. If you are attending a spin class at your local gym, you’ll get it. But if you are at home, you are going to be out of luck. At home, the intensity and duration of your workout will be entirely up to you. 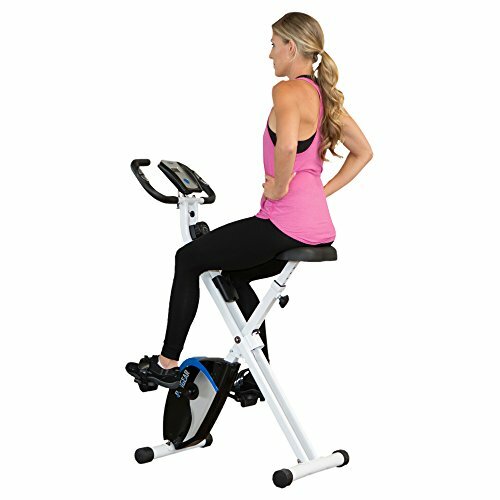 Spin bikes do not come with preset programs you can use for guidance like with upright or recumbent bikes. You may be able to find some classes online. But if you can’t set up your computer, phone, or tablet in the right position, this may not matter. Let’s face it. Upright bikes do not take up a lot of space, and they are often lighter than the other options making it easier to put the bike away when it is not in use. Some may say ‘out of sight, out of mind’ but others will be happy to make better use of the space in their homes. Since they know they bought the bike, chances are it is not going to be forgotten anytime soon. Spin bikes can take some getting used to as can recumbent bikes. But upright bikes are the easiest of the bunch to get started using. All you have to do is figure out the height you need the seat to be and how much resistance you want to use. It doesn’t matter what your current fitness level is either. All you have to do is get on and ride! Leaning over to grab the handles can put some strain on the lower back and neck. Lean on them too much, and you risk causing some wrist pain as well. The high center of gravity with an upright bike can also make it feel a little less stable than you may like. You can ride while sitting up or bending over. But the position you often find yourself in can be unnatural and lead to fatigue easier. Why do bike seats have to be so darn small? Maybe when we were kids, the size of the seat was just right. But as adults, these things are too small to be comfortable. While comfort is not the purpose of an upright exercise bike, it sure helps to keep you coming back. Who wants to exercise when you know your behind is going to be sore five minutes in and just get worse until you quit? How genius! A bike with a seat that people can sit in and not be dying to get five minutes later! 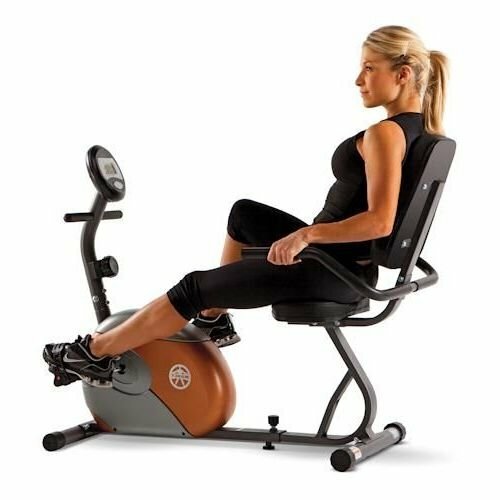 If that wasn’t enough, many models of recumbent bikes come with contoured backrest, armrest to help alleviate any tension in your shoulders, and yes—even a personal fan. It’s the ay cycling was always meant to be. 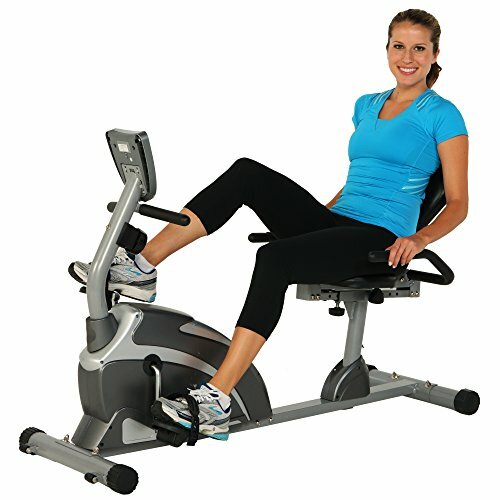 Cycling, in general, is a low-impact exercise, but with the reclined style of a recumbent bike, it is pretty minimal. As a result—you are less likely to suffer any undue aches or pains that could impact your commitment to working out (other than tired muscles because you had such a good workout). Want to save your knees, back, and neck? Go with a recumbent bike. It sounds crazy, but there is such a thing as too comfortable. 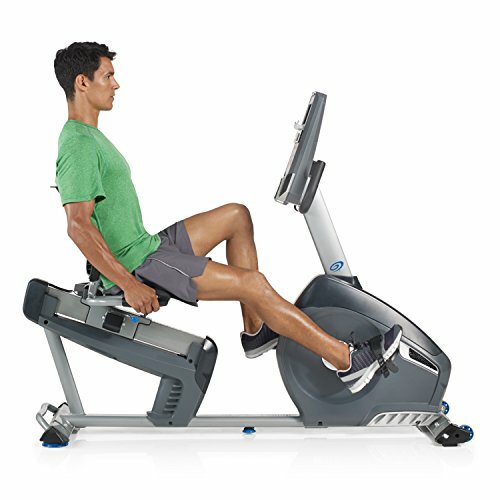 If you are very comfortable, you may be less apt to push yourself on a recumbent bike, and will not work as hard as you need to in order to get a proper workout. If you are not getting a good workout, what’s the point in using it? The biggest drawback to a recumbent bike is the size. These things are big, they are going to take up a good amount of space, and they are not easy to move once you put it together. So, if you get one, make sure you put it together in the place you plan on having it for years to come. If you want to read more about all three types, you should check out our review of Star Trac recumbent bikes. 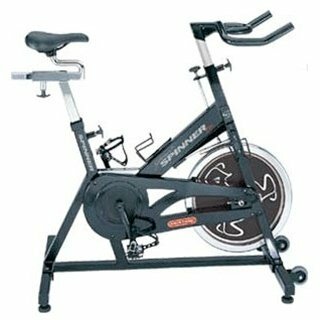 My ‘Spin Bike vs. Treadmill’ article will give you some more insight to spin bikes as will this article. When it comes down to it, you will be able to burn calories with any of the three bikes. But for me, I will not keep up an exercise routine if I hate it. I’ve tried spin class; the seat on the spin bike was so incredibly uncomfortable I walked out five minutes after it started. Upright bikes are fine for shorter rides but if you are planning to go for 30 minutes or more—watch out. If you are looking to lose weight, you’ll need to ride for longer. If I’m going to buy an exercise bike for the house, I’m going with one I am not going to hate using. I’m going with a recumbent bike.